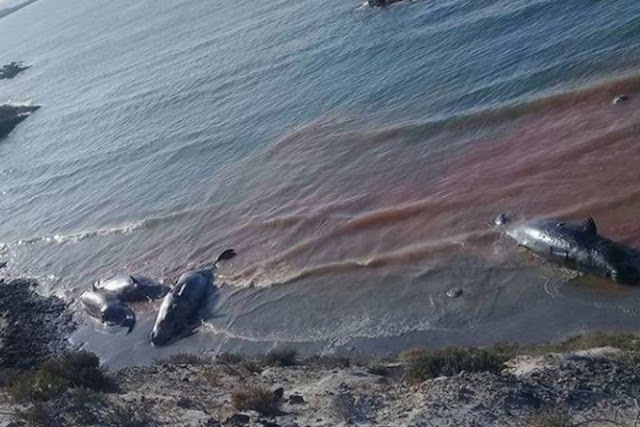 The Big Wobble's weekly look back at mass animal die off's in diverse places around the world. 27th July The Birmingham Mail reported thousands of dead fish 'mysteriously' found on a lake in Birmingham, England. 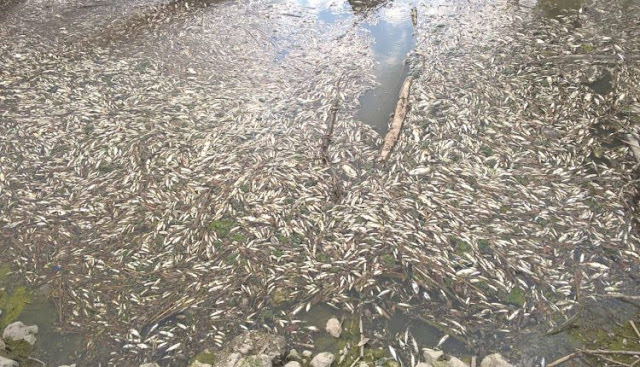 Thousands of dead fish have mysteriously floated to the surface of a city lake popular with anglers - weeks after the authority said the water was ‘NOT hazardous’. Bream, perch, tench, eels, roach and carp have been found dead at Salford Park, in the shadow of Spaghetti Junction. And the remains of swans and birds have also been uncovered close to the lake in Nechells. Fisherman Krisstian Smith made the grim discovery when he visited the park on Wednesday, weeks after he first raised the alarm of worrying algae in the water. Thousands of fish of various species and sizes were found killed by Panará and Menkragnoti Indians on the Iriri River, which is born on the border of Guarantã do Norte (240 kilometers from Sinop) and flows into the Xingu River in Altamira, Pará. The cacique Megaron Txucurramãea told Só Notícias that possibly the waters are poisoned and is destroying the food of the indigenous people of the region. 25th July 2017 The Idaho Statesman reported- Hundreds of dead birds line a road in Idaho, America. The birds are ring-billed gulls and California gulls, according to Bill Bosworth, a wildlife biologist with Idaho Fish & Game. Thousands of gulls nest in a settling pond on private property southwest of the beef packing plant. The large number of bird deaths in recent years has concerned the authorites. 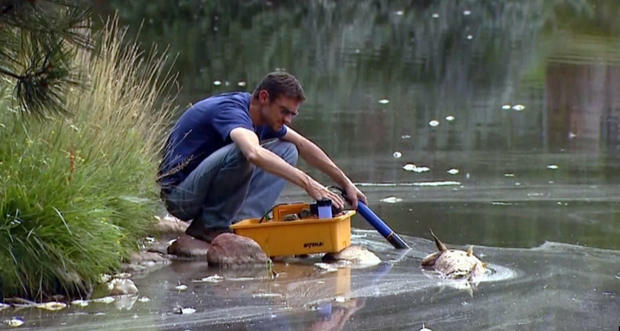 Weather could be to blame for hundreds of dead fish found in a Boulder lake, CBS Denver reports. The dead fish were spotted floating in Tantra Lake over the weekend, causing confusion and alarm for people living in the area. 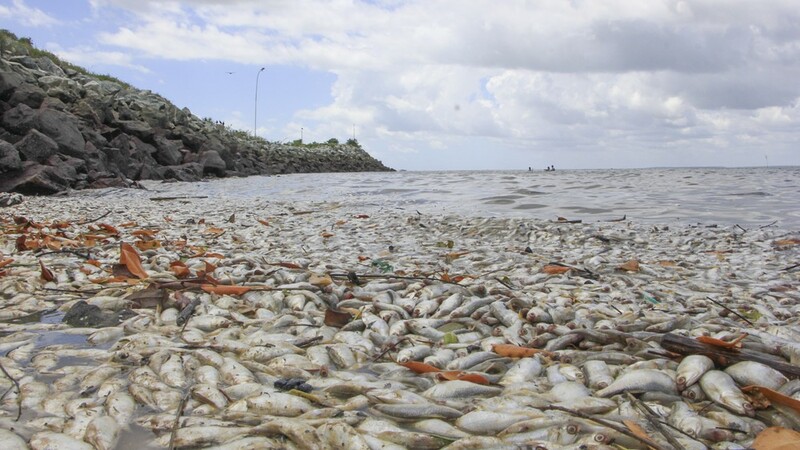 21st July 2017 Maranhoa reported- Thousand of dead fish wash up in Sao Jose de Ribamar, Brazil. 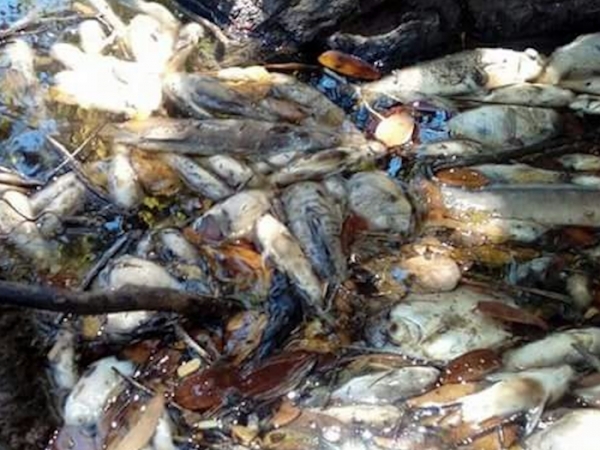 Thousands of fish were found dead at Porto do Vieira, in São José de Ribamar, on Thursday (20), and so far the authorities have no explanation for the fact. 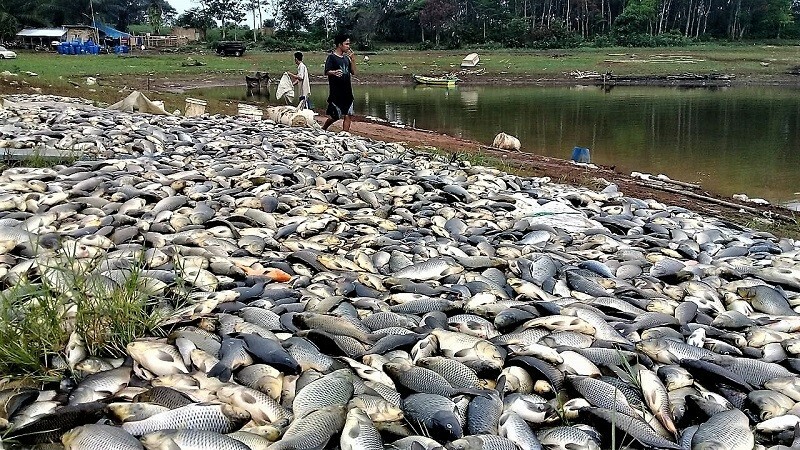 18th July 2017 Lanpunganro.com reports- Hundreds of TONS of fish have died in fish farms in Lampung, Indonesia. 17th July 2017 Bcs Notacios reports- 7 dead whales found on the coast of Baja California Sur, Mexico. So far, the different environmental agencies have not issued a statement on the matter, so the causes of death of these specimens are unknown. ISLAMABAD — Authorities in Pakistan’s capital are investigating the water in the city’s main reservoir after tons of dead fish were found in a lake on the city’s outskirts. 15th July 2017 Terre News reports- Thousands of fish die in the Fucino lake in Italy. Following the drought warning that is striking the Fucino's plain, putting at risk the work of hundreds of farmers who are going to see lost the sacrifices of a whole season, talk to Roberto Di Lorenzo , president of the Amateur Sports Association Acque fucensi. 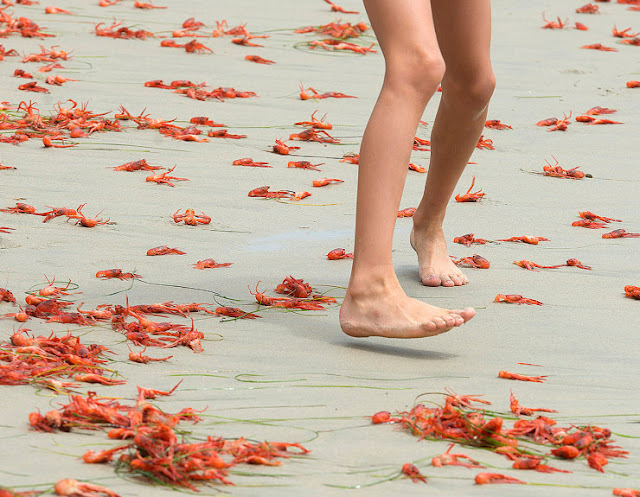 12th July 2017 Orange County Register reports - Thousands of red crabs wash up on Catalina Island, California, America.